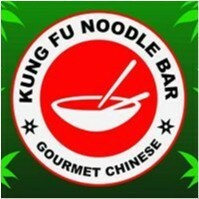 Kung Fu Noodle Bar joined our Mission to help provide access to “Clean Water for All by 2030”. This Mission was initiated by the United Nations. A big thank you to Kung Fu Noodle Bar’s team and customers for joining this extremely important mission on 17 April 2018. Cravings for Asian food can be taken care of at Kung Fu Noodle Bar in Dee Why. There is an impressive menu of items, ranging from Roast Duck to hand-made wantons. You can find things for the entire family and pair everything with noodles, white rice or fried rice. The food is made fresh and fast, so you never have to worry about waiting for food at Kung Fu Noodle Bar. Once you order takeaway at the restaurant, you won’t want to go anywhere else for Asian food because you will have already had a taste of the best.